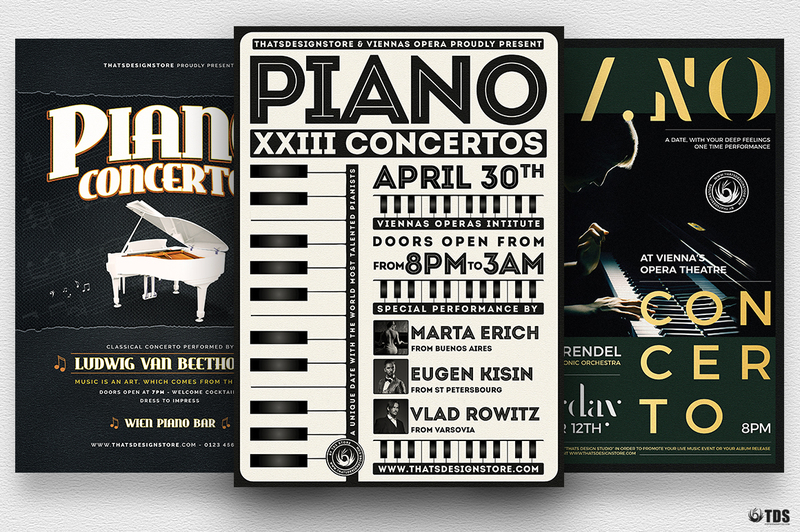 3 Photoshop PSD files, 1 help file. 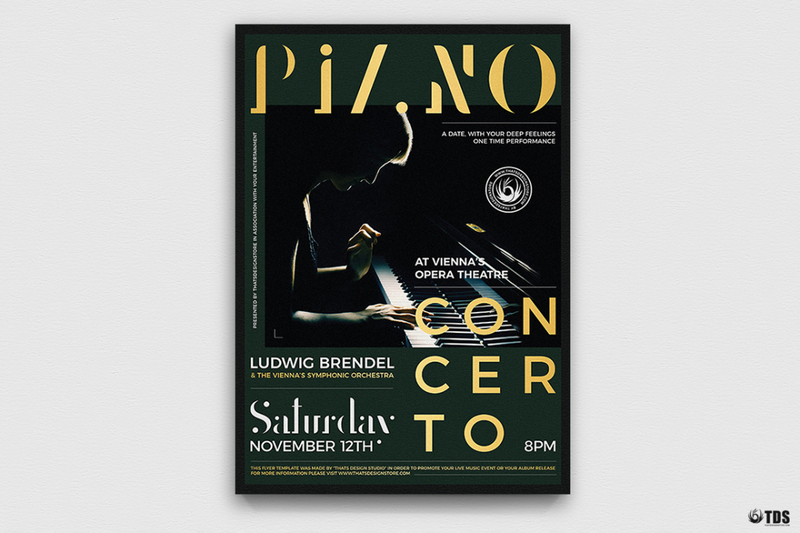 Artists Pictures: Double click on the Smart Object layer « Double-click to edit », place your picture in the newly opened window and save. 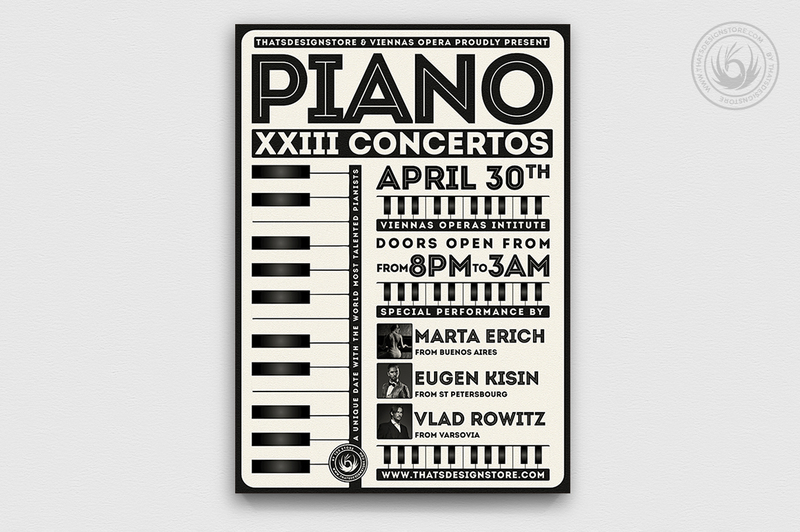 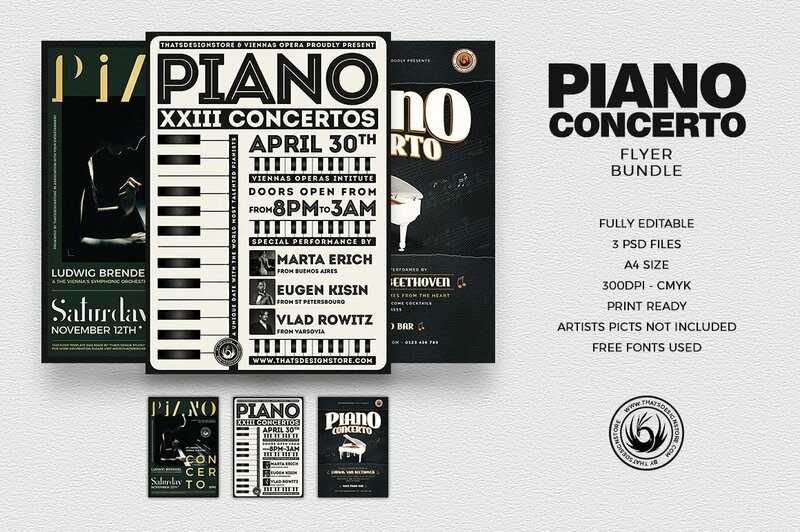 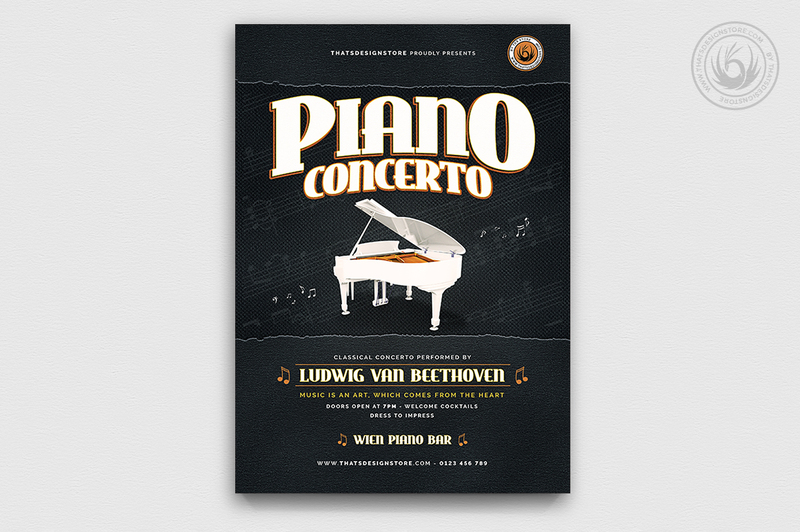 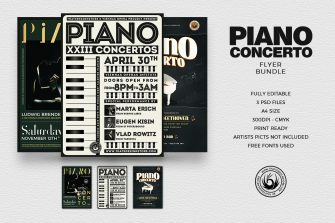 Download this Piano concerto Flyer Templates so you can Customize it with your Photoshop. It’s ready to print and 100% editable. Keep on doing a great job!